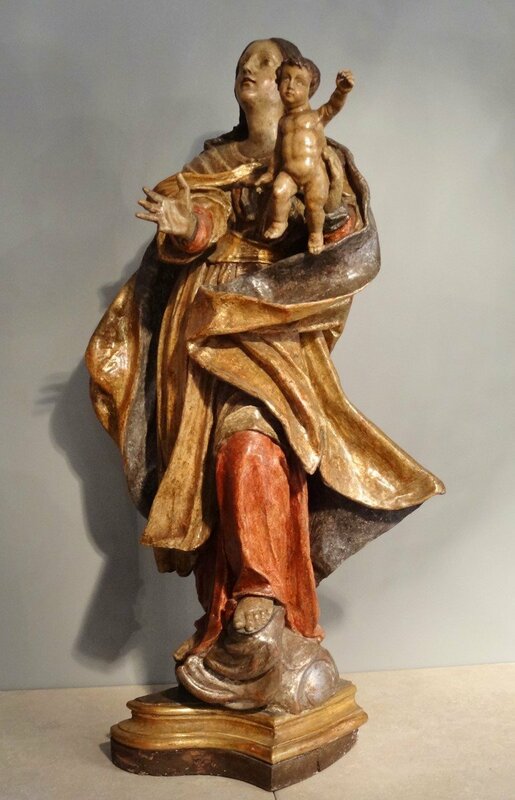 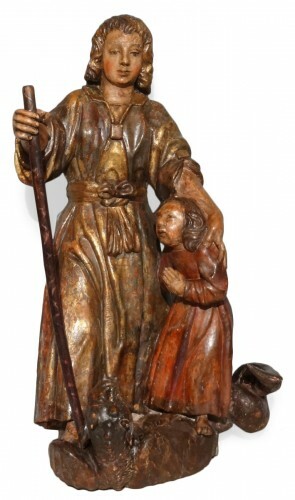 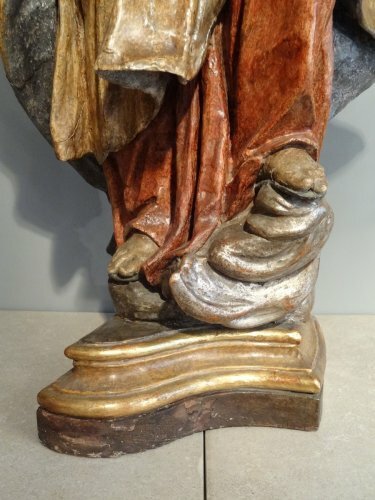 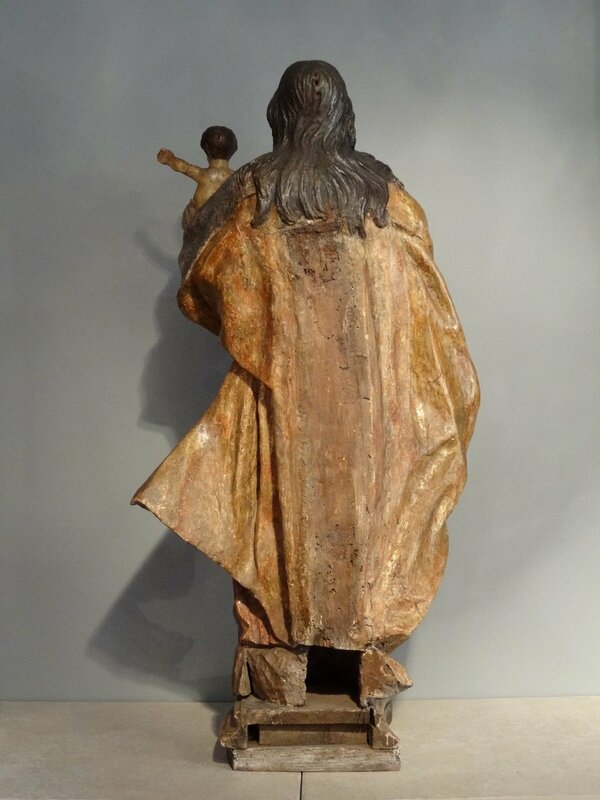 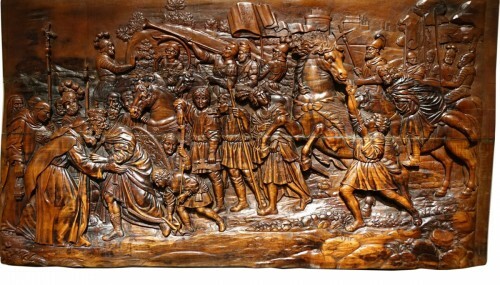 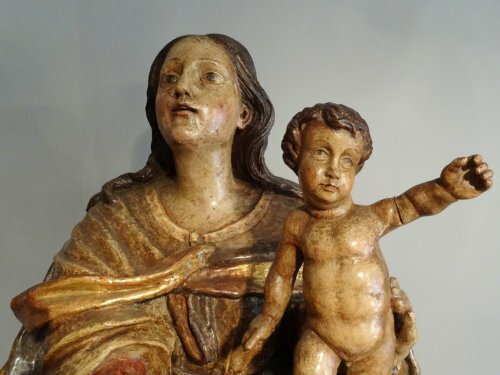 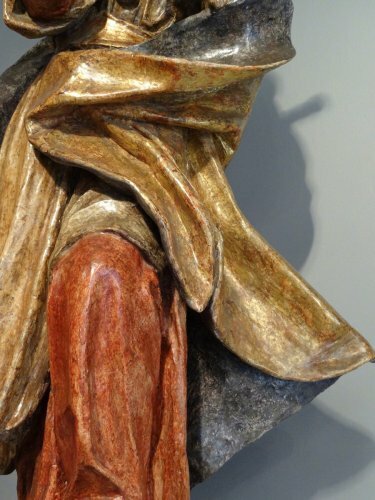 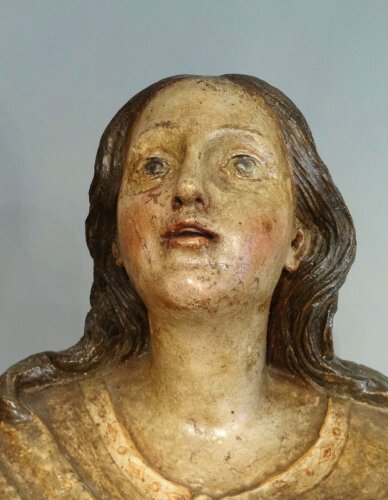 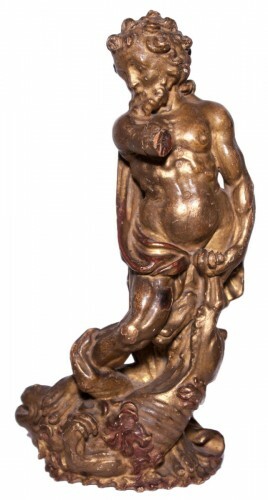 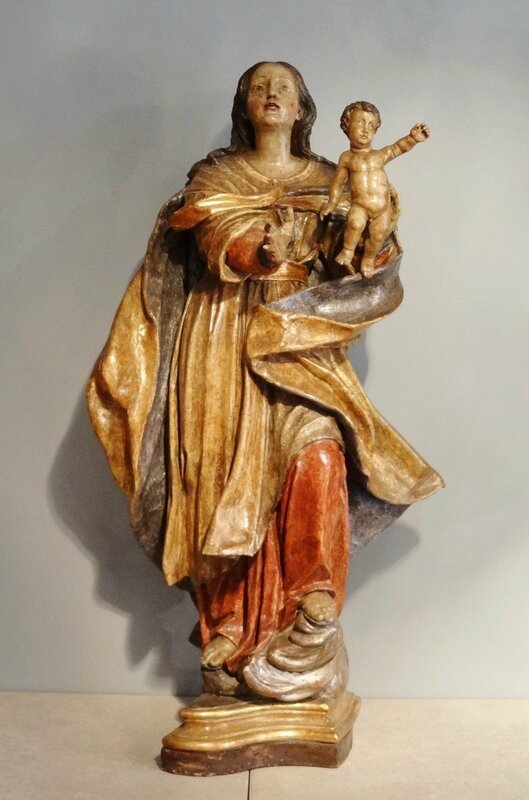 Large Virgin and Child carved and polychromed linden. 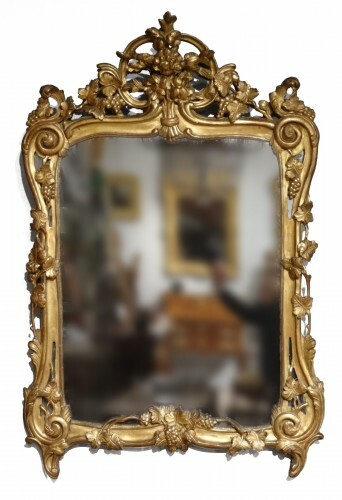 The Virgin is represented on a pedestal in the clouds. 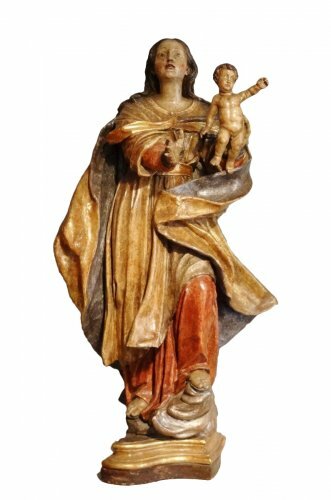 She holds in her hand the baby Jesus who reaches for the sky. Lady wearing a red dress and golden and a long coat. 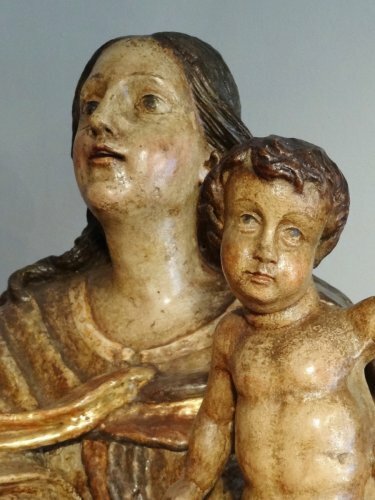 The face of the Virgin turned to the heavens and the Virgin smile. 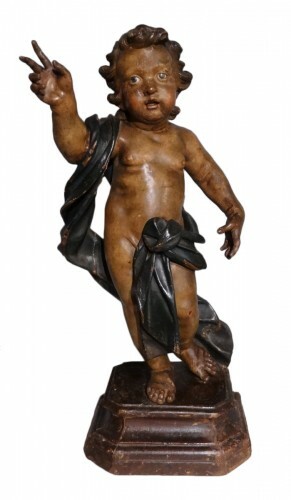 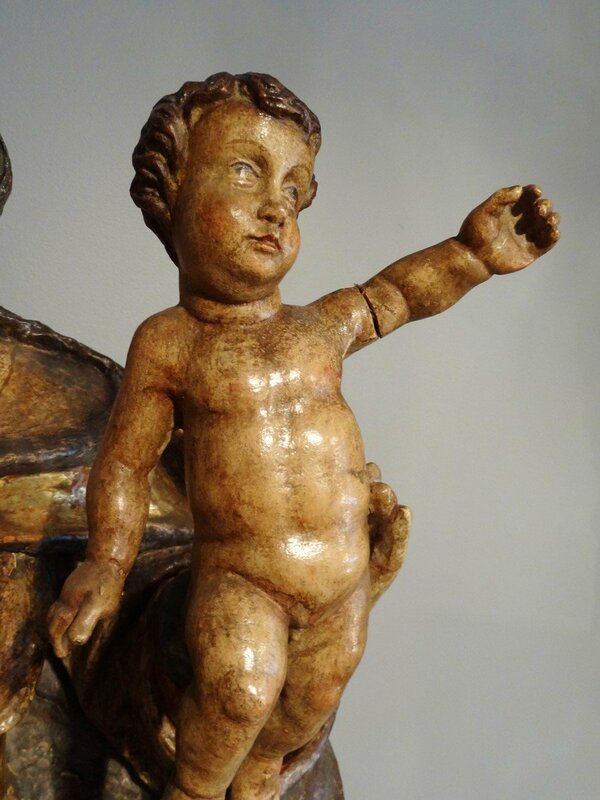 The child Jesus wears a curly hair.